Back in November 2017, we partnered up with Bournemouth School for Girls for the 6th annual British Interactive Media Association (BIMA) Digital Day. Today BIMA announced that students Georgia Abbott, Katie Holt, Evie Fawkes, Saffron House and Mali Foote as the winners of The Diana Award challenge for their idea ‘Virtual Victim’. Digital Day is a free initiative that our founder and Chief Strategy Officer Andrew Henning established in association with BIMA, connecting both schools and digital agencies together to provide insights into the career paths and opportunities available in the digital industry. Students faced challenges set by BIMA, insurance provider LV=, and The Diana Award – a charity legacy to Diana, Princess of Wales. The charity’s daily efforts focus on inspiring positive change in young peoples’ lives, supporting young people at risk and empowering action against bullying. Students were asked to come up with a product or idea that could help to prevent bullying or aid classroom learning using either artificial intelligence (AI), virtual reality (VR) or robotics. “We feel that they really answered the brief – not only did their idea raise awareness of anti-bullying, but it also encourages the users to stand up to bullying through educating them on correct ways to do so. Although there is currently a high use of VR, we felt that they were innovative in taking a readily accessible technology and changing its use. Rather than using VR for leisure, it was used as a tool to educate and create empathy specifically for the brief. 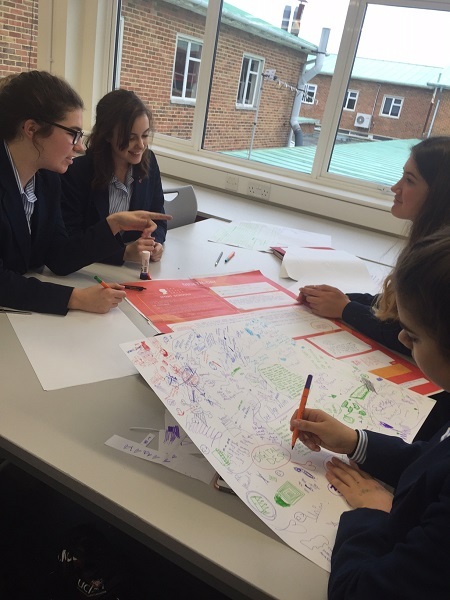 Students had to pitch their ideas in a style mirroring ‘Dragons Den’ to our representatives from Redweb and to Deputy Head of Design and Technology James Winrow, before being judged by BIMA and the Digital Day sponsors. “Digital Day is such a great event to take part in and winning for the third year in a row is fantastic. Not only does our success show how well we work with our brilliant partners Redweb but also the amazing ideas and potential girls have to offer this exciting industry. The winners receive a number of Digital Day prizes including a cash prize for the school and cinema tickets. The winning team also have a ‘money can’t buy’ opportunity to visit ustwo, the makers of Monument Valley – a popular puzzle game, where they will have a tour of their studios and work with them to design a mini-game. They will also have the opportunity to visit Sky Academy Studios where the students will have the chance to create their very own TV report. 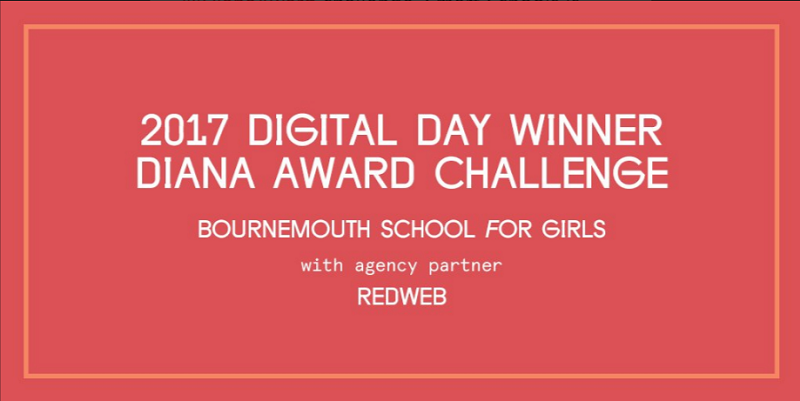 We would like to extend a huge congratulations to this year’s winning teams and thank all the students and agencies who took part in Digital Day 2017. We hope to see even more students enter next year to discover more about digital careers. Formed in 2012, Digital Day has reached out to over 15,000 young people, with hundreds of schools and agencies taking part in 2017’s challenges. Our agency’s mission of inspiring careers in digital also extends to the annual student careers conference Digital Wave, which invites students to hear from guest speakers and seek advice on degree, apprenticeships and career paths within the digital industry.